If you’re looking for a floor covering that is natural but long-lasting, luxurious but environmentally friendly, try wool carpet. Wool, after all, has provided warmth and comfort to mankind for over 12,000 years. Nontoxic and safe for babies to crawl on, wool is a sustainable resource for today’s eco-smart family. Think of sheep as nature’s own sustainable wool factory. Sheep grow new wool coats once or twice a year, making wool naturally renewable year after year. Sheep are fueled by sustainable resources (grassy pastures, rainwater, sunshine and clean air) all along the supply line. Even inside the man-made carpet factory, carpet made from wool fiber requires 15–30 percent less energy to produce than carpet made of polypropylene or nylon fiber. Wool naturally helps keep interior environments warm in the winter and cool in the summer. Wool carpets save energy by reducing heat and cooling loss through floors. With its low carbon footprint, wool carpet earns points in the rating system developed by the U.S. Green Building Council known as LEED (Leadership in Energy and Environmental Design). Wool carpet absorbs modern-building toxins such as formaldehyde, nitrous oxides and sulfur dioxide by binding them to its amino-acid structure. Because it does not re-emit these pollutants, wool saves you from breathing in these chemicals. Wool balances a building’s moisture content by absorbing humidity and releasing it when the air is dry. This makes it an ideal flooring even in humid climates. Wool fibers are too long and coarse to be inhaled, making wool carpet a healthy choice for people with asthma. Wool is also considered non-allergenic and is resistant to bacteria and dust mites. And because it absorbs dust from the air and holds it until vacuuming, it contributes to cleaner indoor air quality. Wool carpet is naturally fire-retardant, requiring no toxic fire-retardants or treatments. Wool is naturally stain-resistant. In fact, chemical cleaning agents are not recommended, saving you and the environment from exposure to toxic cleaning agents. Because it is naturally more durable, wool carpet lasts 20 years longer than synthetic carpet, helping reduce the load on landfills. 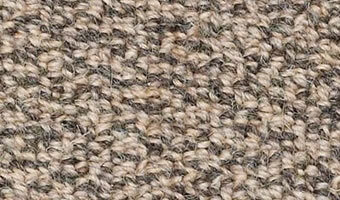 Wool carpet also decomposes. This is a significant contribution to environmental health in itself, because the millions of tons of synthetic carpet choking our landfills is expected to take thousands of years to decompose. When it does decompose, wool carpet produces nitrogen, sulfur, carbon dioxide and water—all elements that improve soil fertility. One Napa Valley vineyard actually used wool carpet remnants from Bellbridge Carpets to suppress weeds, fertilize the soil, prevent erosion and conserve moisture in the soil.